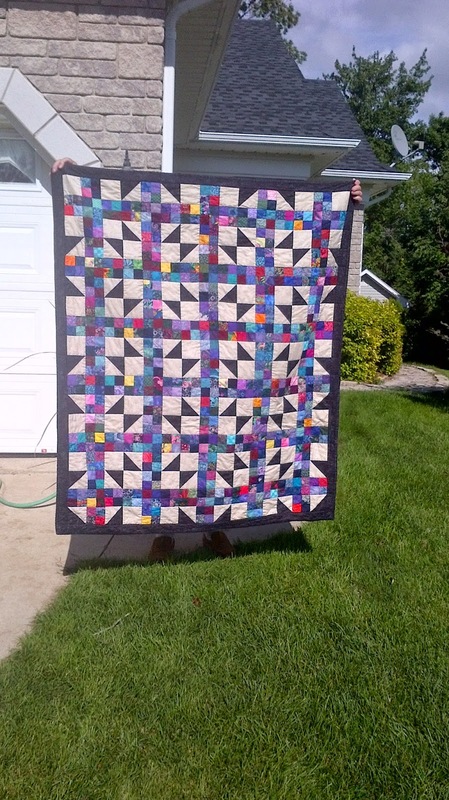 This is the quilt I made for our friend Ray. He is under going cancer treatments again so this is a hug from his friends north of the border. We have had a busy month, that included what is becoming our annual trip to Stratford. We saw 4 plays starting with Midsummer Night's Dream on Tuesday, then Beaux Strategem, then Crazy for You and finally The Man of LaMancha. We do the matinees and then go out for a nice dinner. Crazy for You and the Man of LaMancha were AMAZING.